Looking for some summer fun in the sun? Get your kids away from the screen and outside with NERF blasters! They’re fun for both kids and parents! That’s why Toys“R”Us, Hasbro and Duracell are teaming up and want you to share in the summer fun with Nerf! Toys“R”Us is the one-stop-shop to pick up this summer’s hottest toys. While you’re at Toys“R”Us, don’t forget the Duracell batteries! 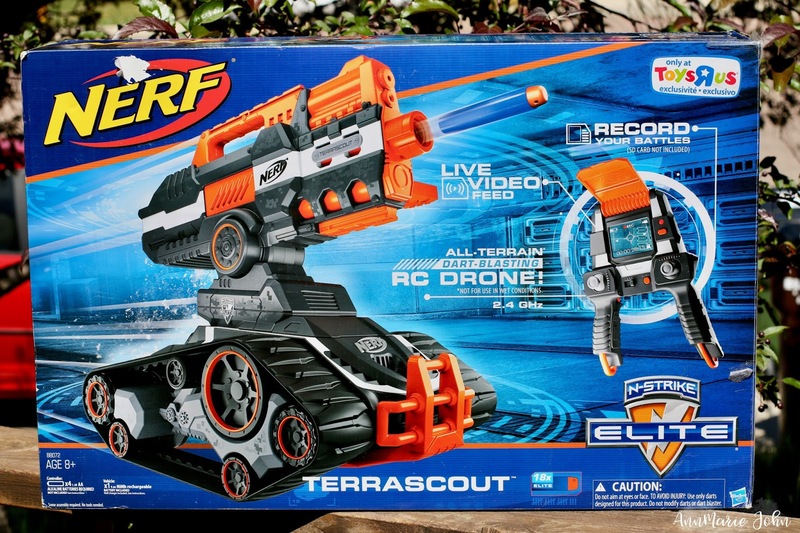 You’ll need them to when buying items like the NERF N-Strike MEGA Mastodon Blaster and the NERF N-Strike Elite Terrascout Remote Control Drone Blaster. Winner will be randomly selected by PromoSimple and will have 48hrs to respond to the winning email. Failure to do so will mean forfeiting your prize and a new winner will be chosen. Good luck! No big plans. We will go to the lakes, parks and have lots of bbq's. We will be camping and going on a Road Trip from Washington State to California! We also will be doing a lot of swimming and going to the beach! There is something wrong with Free For all Fans on twitter and Instagram. Please can I get the correct links for this giveaway. No big plans yet. We are taking a late summer vacation. We will just be staying home and enjoying our grandson. We're having a staycation close to home. Lots of pool time. A trip to our local amusement park, and other fun adventures. We will be heading to Disney for our vacation this year! My daughters first time! They are 6 and excited! We're going to take our 2 granddaughters to Disney World in August. We are planning to spend a lot of time around the pool We do have one long weekend trip for a family reunion as well. Thanks for the giveaway! There seem to have been some issues with PromoSimple and the entries. I sometimes get PromoSimple errors and the tweet or pin went through but didn't submit on the form. This is the 2nd day in a row that this has happened.